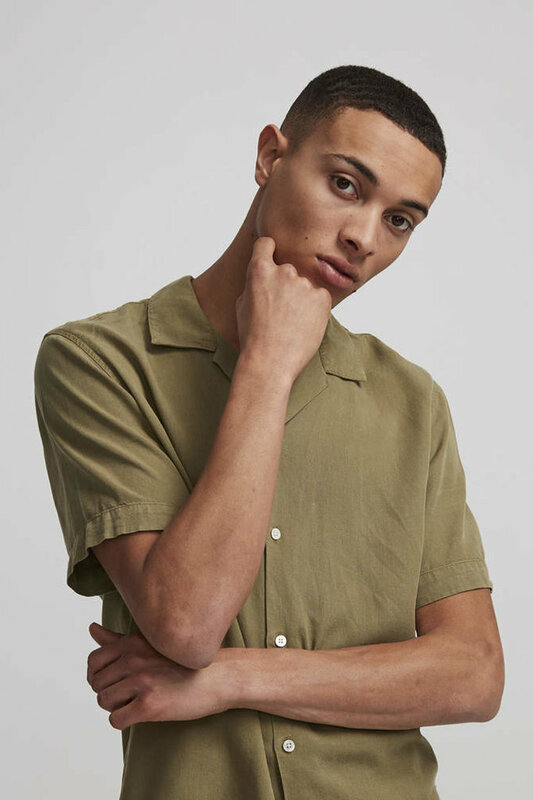 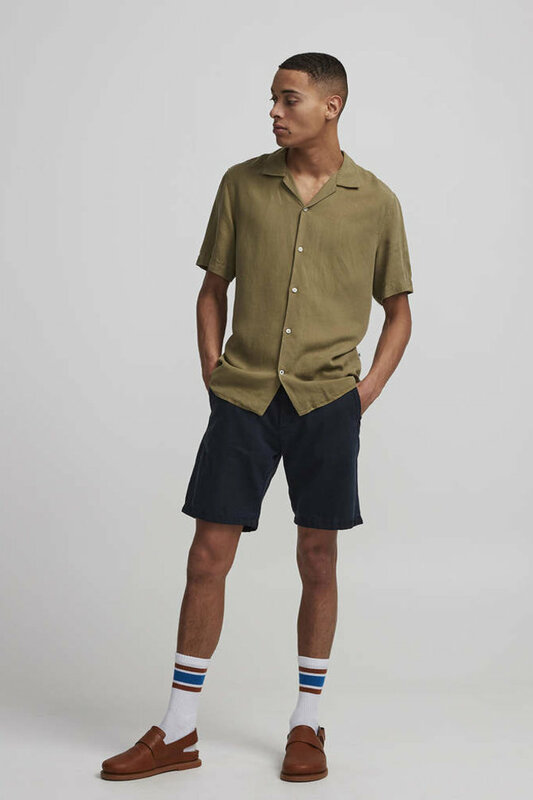 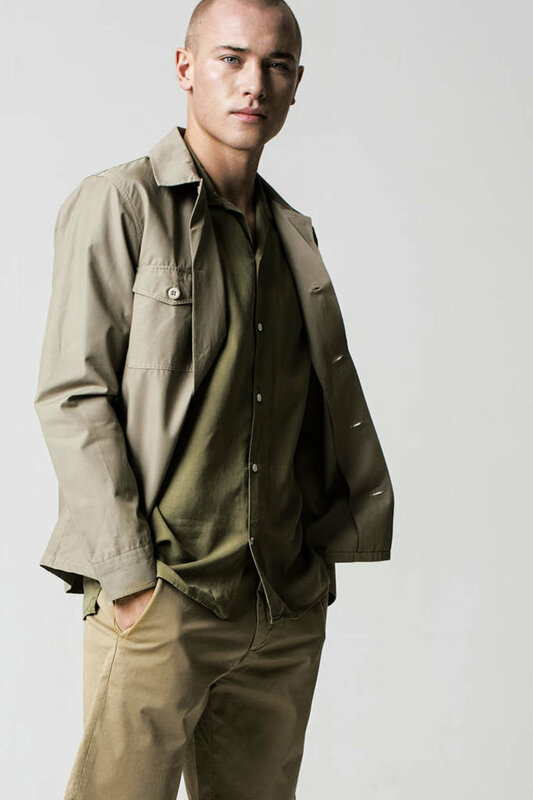 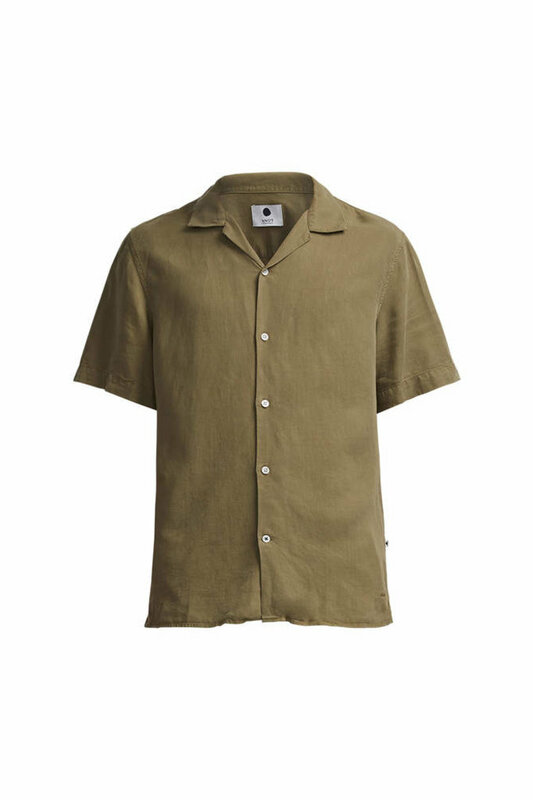 Miyagi is a short sleeve bowling collar shirt, made in a lyocell/linen blend. 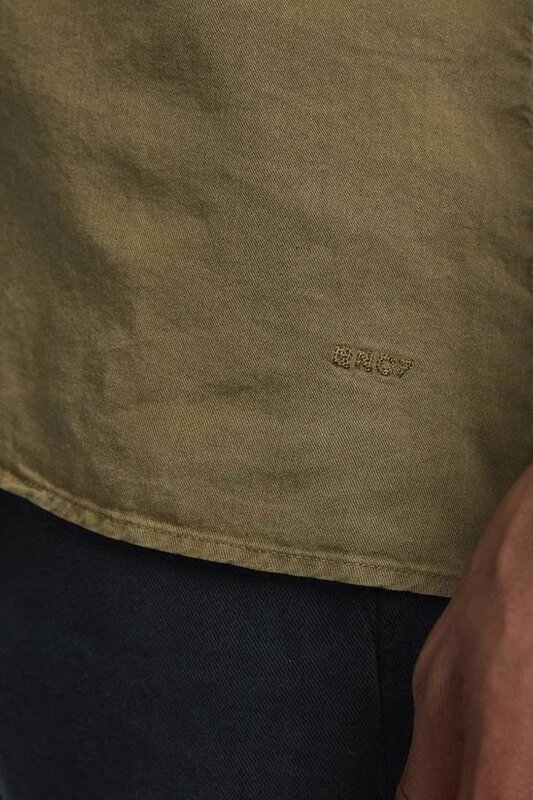 The shirt is garment dyed to reach a nice faded colour effect. 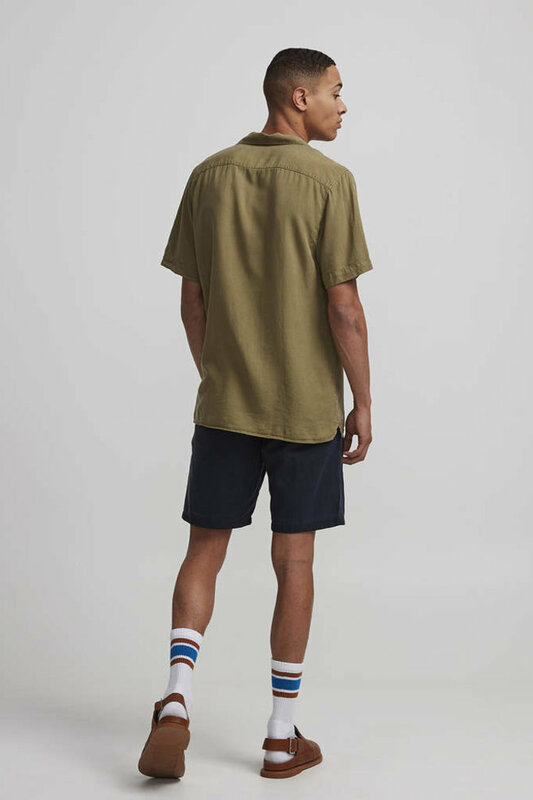 The shirt has a regular fit.